The cherry blossom (sakura) is Japan’s unofficial national flower. It has been celebrated for many centuries and takes a very prominent position in Japanese culture. There are dozens of different cherry tree varieties in Japan, most of which bloom for just a couple of days in spring. The Japanese celebrate that time of the year with hanami (cherry blossom viewing) parties under the flowering trees. In Japan, cherry blossoms also symbolize clouds due to their nature of blooming en masse, besides being an enduring metaphor for the ephemeral nature of life because of the transience of their extreme beauty, followed by their swift death. Spray as required or layer the fragrance. - To add a woody / spicy note, layer with Patchouli. 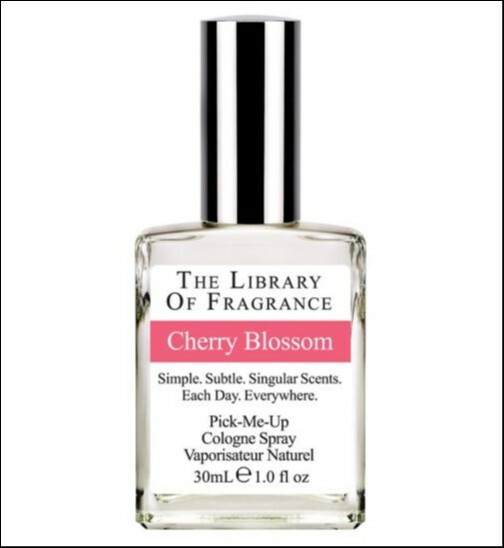 TYPE: Cherry Blossom fragrance is a soft, sheer floral with a hint of cherry. 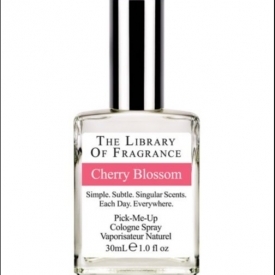 - The option to layer with other Library of Fragrance scents. - A delicate floral fragrance with the definite scent of cherry. - Surprisingly long lasting for such a delicate cologne. A deliciously delicate floral fragrance. Particularly suited to those who prefer light and feminine scents.